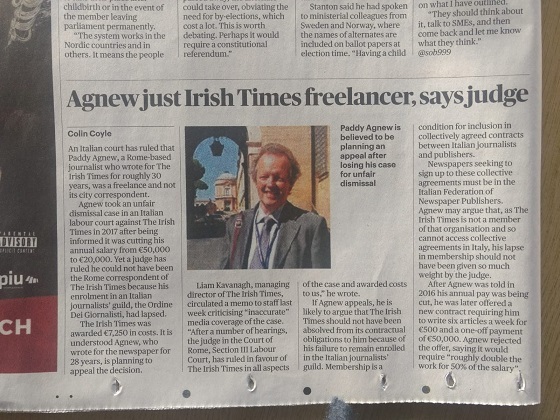 The Irish Times newspaper is involved in an international labour dispute with Paddy Agnew, an Irishman, who worked as Rome Correspondent for the Irish Times for 28 years on a monthly salary plus expenses, without interruption. After a French court had heard that UBS, the biggest Swiss bank, had engaged in “James Bond”-like tactics to illegally solicit French clients and help launder more than €10bn, a judge on Wednesday imposed a €3.7bn fine and ordered the bank to pay €800m in damages following a guilty verdict of aiding tax evasion. 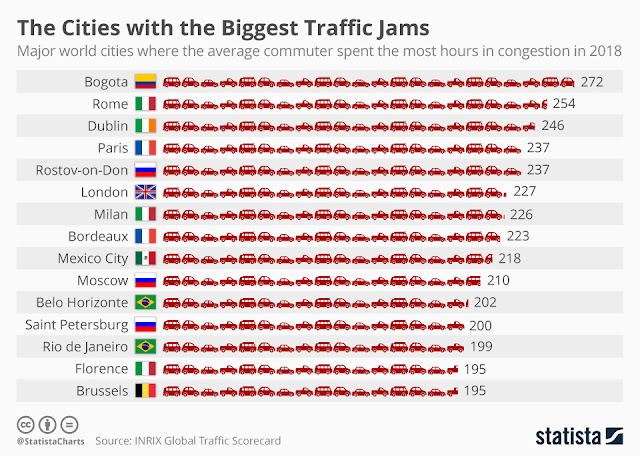 Five of six ex-bankers were convicted and given suspended jail sentences together with combined fines of €950,000. Dublin, the Irish capital, has this week been ranked among the worst cities in the world (ex-Asia) for traffic jams while being one of the most “liveable” European cities for expatriates. 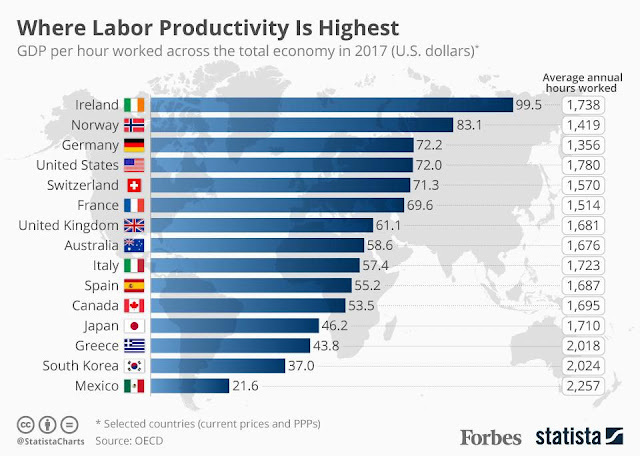 Irish workers most productive in world or same as Italians? This week the Organisation for Economic Cooperation and Development (OECD) issued data which showed that Ireland had the highest GDP (gross domestic product) per hour worked in 2017 of 38 mainly rich country economies.